Recognised as one of the world’s Global Cities alongside New York and London, Tokyo is an exciting, vibrant destination. History, commerce and culture fuse in this mega-metropolis that is truly cosmopolitian, yet intrinsically Japanese, offering fascinating juxtapositions at every turn. 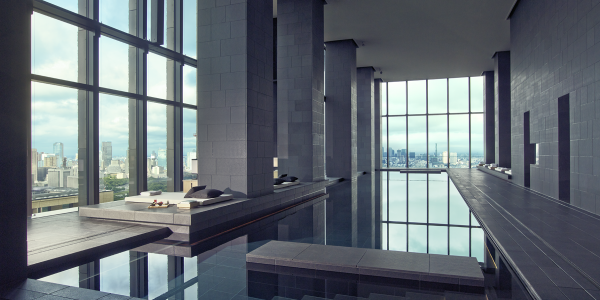 It is into this atmospheric whirl of tradition and modernity that Aman launches its first urban hotel as part of an existing building – Aman Tokyo on the top six floors of the recently-built Otemachi Tower. 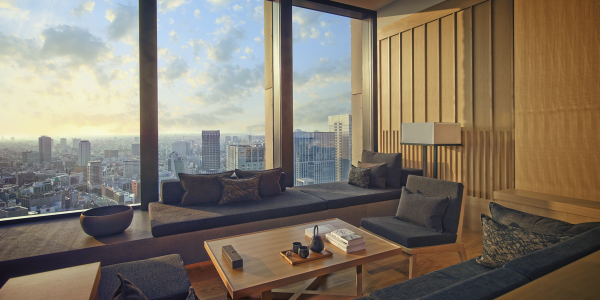 Located in the prestigious financial district of Otemachi, Aman Tokyo presents 84 rooms and suites each with panoramic city views. 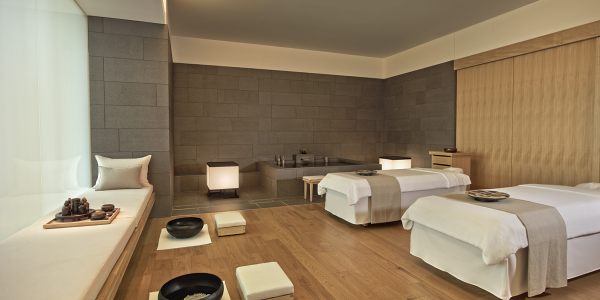 A peaceful inner garden and a serene Aman Spa and swimming pool complete the rarefied sanctuary. 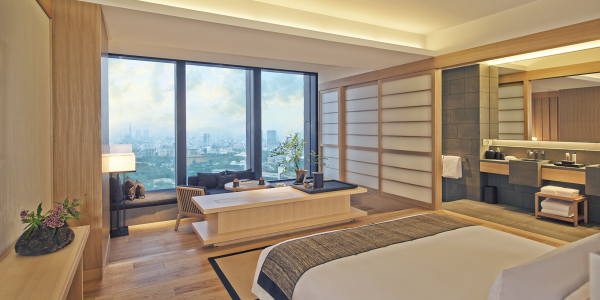 The hotel, occupying levels 33-38 of The Otemachi Tower, offers scenic views of the Imperial Palace Gardens and surrounding Tokyo landmarks, as well as easy access to all points of interest in the city including the renowned Ginza shopping district. Deluxe Rooms are 71 square metres (764 square feet), making them the largest entry-level rooms in the city. 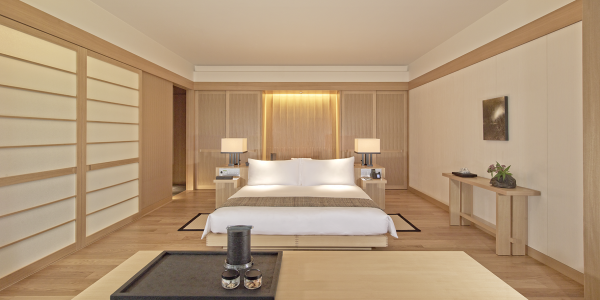 Facing the Imperial Palace Gardens, the serene bedroom flows seamlessly into the elegantly-appointed living area, with subtle Shoji screens delineating spaces. Premier Rooms are 80 square metres (861 square feet), with a spacious foyer and expansive bathroom. 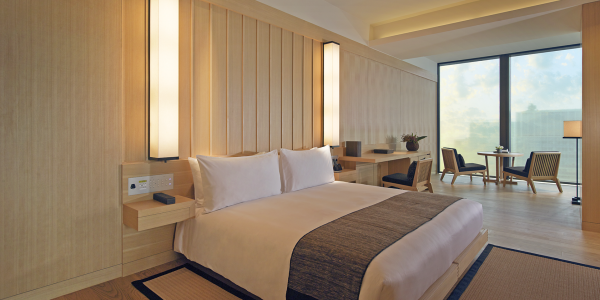 Facing the Tokyo Skytree, these rooms embrace a Zen-like aesthetic similar to that of the Deluxe Rooms. Suites are a minimum of 141 square metres (1,517 square feet), offering a sense of boundless space embracing breathtaking views. As well as a gracious living room, there is a dining table for four and a fully-equipped pantry, allowing apartment-style living in the heart of Tokyo. Corner Suites are a minimum of 121 square metres (1,302 square feet) and are located on the corners of the building, thereby providing panoramic views and the sensation of floating above the city. Each offers a separate bedroom and a living room with dining area and pantry. Aman Suites are an impressive 157 square metres (1,690 square feet). 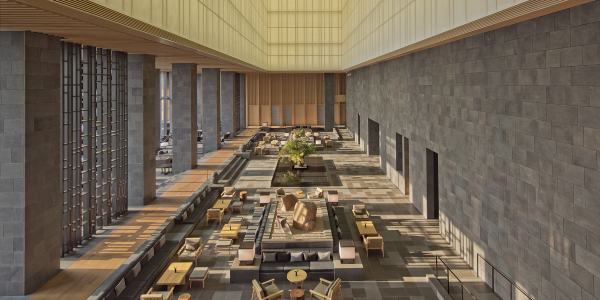 Positioned in the northwest corner of the building, their lofty aspect and generous proportions impart a palpable sense of calm which complements tranquil views of the Imperial Palace Gardens and the Tokyo Skytree. Boasting more Michelin stars than any other city in the world, Tokyo is renowned for its cuisine. 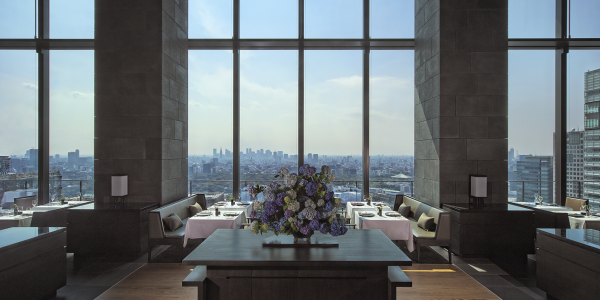 The Otemachi and Marunouchi areas are fast becoming a popular hub for gastronomes, and Aman Tokyo will add an exciting new dimension to the local dining scene. 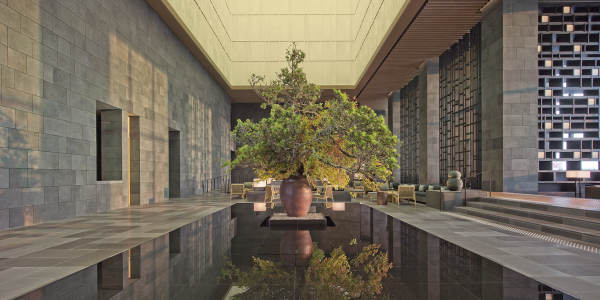 Covering almost 2,500 square metres (almost 27,000 square feet) on two floors, Aman Tokyo’s Aman Spa offers outstanding views and an integrated approach to wellness combining spa treatments, movement, aesthetics and relaxation. Eight treatment rooms each feature a dressing room, treatment area, steam shower and bathroom. Fitness facilities include the state-of-the-art Fitness Centre, a Yoga Studio, and a Pilates Studio fully equipped with Allegro Reformers and other Pilates-specific apparatus. The 30-metre indoor swimming pool is temperature-controlled, and changing rooms feature steam rooms and traditional Japanese hot baths.